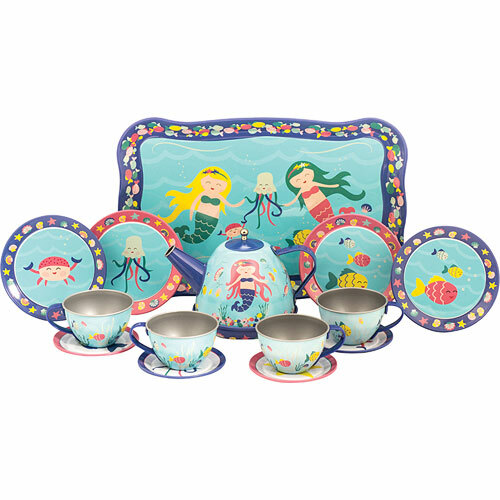 High tea at high tide? Of course I'll be there! Especially with "guests" like mermaids, crabs and an octopus. 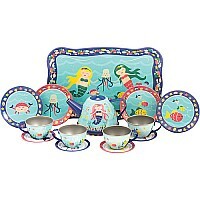 This 15-piece set is made of brightly illustrated, durable tin, with service for 4, a serving tray and teapot with lid. From Schylling Toys, for ages 3-7 yrs.